Lavon: Go ahead... Talk about Wade. Zoe: Wade? Why the hell would I want to talk about Wade? Some people say that women can't have it all... Those people obviously never met Lemon Breeland. Brick: Don't beat yourself up. Magnolia: I'm not. I mean making me do stuff. You should know better! [Drunk] We changed the minds of us and had some drinks. Permalink: We changed the minds of us and had some drinks. Permalink: Ruby's tough on crime... What crime!? But yo Simba how about a little heads up if their is going to be a hot new lioness in the den when Nola comes home. 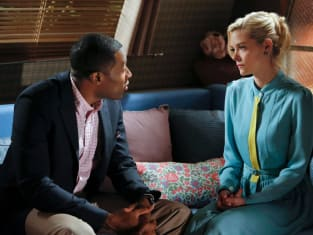 Lemon: Oh Lavon, please tell me you're still not in love with me! Zoe: Hey can I take your syrup to my place for later?